The Nissan Z is aging out without an announced replacement, the GT-R is older than God(zilla), and the XTerra died out in 2015. While all somewhat disappointing, don’t let your guard down for something like the promising body-on-frame 2018 Nissan Terra, a would-be successor to the XTerra, because it’s not coming stateside either. At least, it’s most likely not coming to the U.S., as suggested by Hironori Awano, the chief engineer of the new Terra, via Automotive News. “Currently, that is out of our scope,” said Hironori Awano, chief vehicle engineer of the Terra, which went on sale this year in China and Southeast Asia. Awano concedes certain aspects of the rugged, go-anywhere SUV are perfect for Americans. “The size is very nice for the U.S. market,” he said last week at a briefing here at Nissan’s global technical center. It would also help Nissan tap Americans’ insatiable demand for utility vehicles. A new Terra, if planned correctly, could have beat the upcoming Ford Bronco to the punch, and wiped the floor with whatever wagon Chevy happens to be calling the Blazer. It also would have provided a slightly more comfortable rival to the new Jeep Wrangler. The original XTerra went on sale back in 1998, and caught on to the rapidly rising SUV craze back when things were allowed to seem a little cheap in return for practicality and ruggedness. But those days are gone, and the amount of work and money that would go into Americanizing the XTerra with luxury features and crash testing may not pay off. 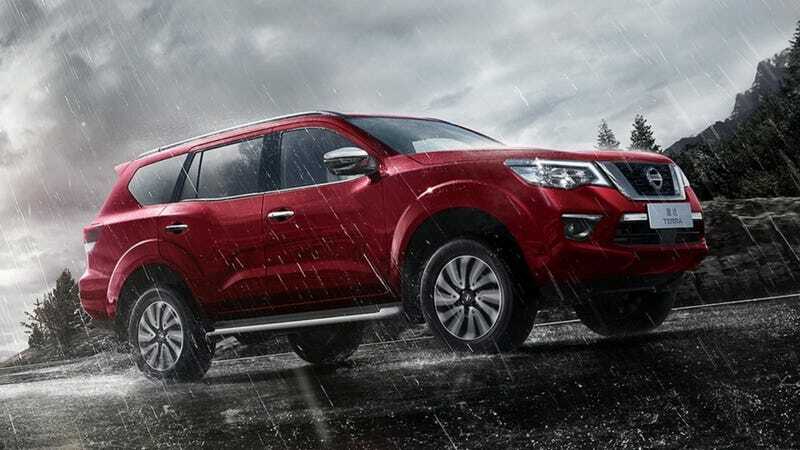 Nissan would also risk eating into sales of the full-size Armada, which it definitely doesn’t want to happen. But the old XTerra shouldn’t just be remembered as numbers on a sheet, it was also a funky design with bright paintwork, it had a lever for the transfer case, and it was even available with a manual transmission. It was a real damn SUV, and it will be missed.